I had the pleasant opportunity of co-leading a high-visibility / groundbreaking project with Tim that was directly sponsored by the CIO with weekly updates directly to the CIO. Tim is highly engaged and he motivates all those around him. He makes work fun and loves trying outside of the box solutions. Tim provides advisory and training services in Enterprise Architecture and Business Model transformation, with a focus on IT in large retail companies. 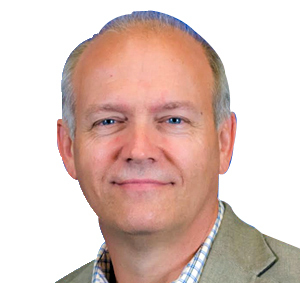 Tim joined the Walmart IT team in 1988 to help develop the growth of EDI. As part of this work he led development of a the retail industry EDI standard as chair of the Voluntary Inter-industry Commerce Standard’s EDI committee. In a 30-year career at Walmart, Tim become one of the company’s most respected EAs, and was instrumental in professionalization of the global architecture team and practice. He created Walmart’s first architecture governance program and designed a multi-year global architecture training program across 15 countries. His work included identifying key architect skills, building curricula, selecting training providers, and delivering the program. Most recently he led creation of a company-wide Domain Model, which became the organizing principal for global business architecture. The resulting end-to-end IT service management practice centered on business capability and value stream based planning, and refocused the IT operating model on value over projects and on outcomes over outputs. The delivery framework incorporated IT4IT, Scaled Agile Framework, ITIL and ITaaS. TOGAF was used for architecture methodology, ProVision for modeling/repository and Troux for asset repository. Tim holds a BS degree in Accounting and Data Processing from the University of Arkansas. He is a qualified ITIL Expert and Carnegie Mellon Certified Enterprise Architect. He is also a Certified Public Accountant.